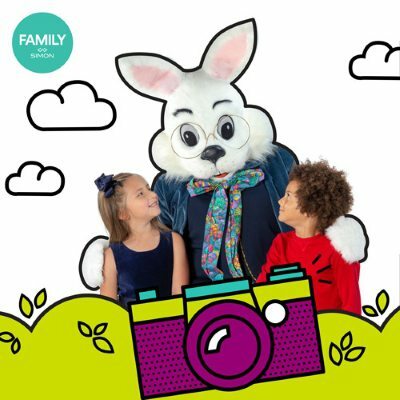 Simon®, a global leader in premier shopping, dining, entertainment, and mixed-use destinations, will host Easter celebration festivities at Battlefield Mall this spring, offering families the chance to participate in traditional and unique seasonal events. The annual Easter Bunny Photo Experience, begins Friday, Mar. 29 and runs through Saturday, Apr. 20, located in the JC Penny East Court. Kids are invited to visit with the Bunny and take home a treasured snapshot of the fun occasion. “We love hosting family-friendly events and always look forward to children enjoying their visit with the Bunny at Easter,” said Amanda Estes, Director of Marketing and Business Development at Battlefield Mall. Battlefield Mall also provides an opportunity for children with all spectrums of special needs and their families to enjoy this time-honored holiday tradition through a sensory-friendly Caring Bunny event in association with Autism Speaks. •	Turning off in-mall music, stopping escalators located near the photo set and dimming the lights for the duration of the event. •	Special activities geared toward the needs of guests during the ‘wait’ period. Caring Bunny will occur on Sunday, March 31 and Sunday, April 7 from 10 a.m. through 12 p.m. prior to mall opening. The Bunny Photo Experience will provide additional support by collecting donations for Autism Speaks throughout the season. Guests are encouraged to reserve their appointment through the online booking link. For March 31, head to https://www.eventbrite.com/e/caring-bunny-tickets-55981488138. For April 7, head to https://www.eventbrite.com/e/caring-bunny-tickets-56126842898. Visitors can avoid the line and reserve their magical moment for the Bunny Photo Experience with Bunny’s FastPass at simonbunny.com.